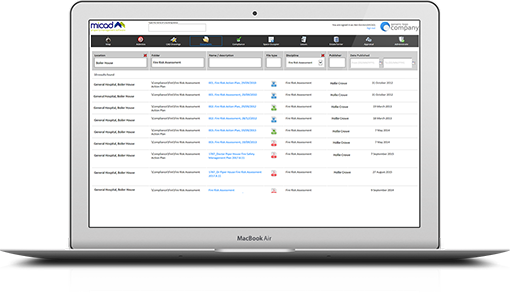 Micad’s document publishing tool lets you store, organise and access all your estates related information in one place. User defined folder structures and comprehensive user rights mean you can manage your document registry with ease giving access to documents to those that need it. Need to get your documents organised? Document publishing in Micad provides for unlimited numbers of documents, manuals, drawings and photographs to be associated and hyperlinked to any part of a location (site/building/floor/room). The logical organisation of information into secure folders & sub folders means that information is easily accessed by the right people at any time. The task of finding a specific document becomes simple with the assistance of the powerful ‘search engine’. As document folders are user-definable, the IPR can be used to store and distribute any category of information. Routinely the IPR may also be used by members staff from other departments (outside Estates & Facilities) who need access to centrally held information and data. The web interface ensures that users can achieve this requirement easily with little or no training. 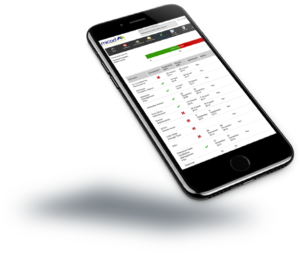 As with all IPR modules there is a Portal option that enables document information to be accessed by mobile devices in a read only format.